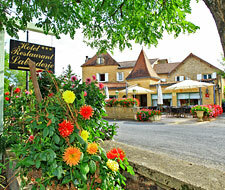 3-star Hotel Restaurant in the Dordogne Périgord Noir. 44 very comfortable rooms and gourmet restaurant. Swimming pool, sauna, spa, tree-filled park... 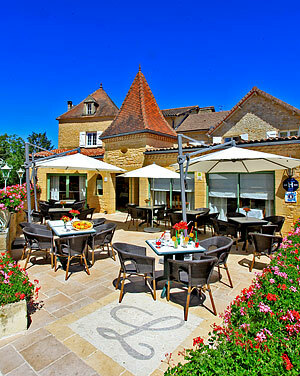 Ideally situated between the medieval city-centre of Sarlat, the Lascaux Cave and Les Eyzies, world capital of Prehistory.